Very friendly staff, property was clean and very comfortable. Where to find Falmouth hotels near an airport? Where can I find hotels in Falmouth that are near tourist attractions? 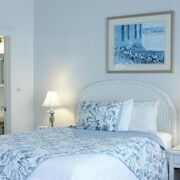 Travelers are simply spoiled for choice when it comes to securing comfortable places to stay in Falmouth. Our database lists 22 short- and long-stay options within a 0.1-kilometre (0.06-mile) distance of Falmouth's heart. Booking convenient accommodation in central Falmouth couldn't be easier. 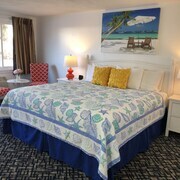 Expedia's comprehensive database lists the Holiday Inn Cape Cod-Falmouth and The Palmer House Inn, all of which are within 1 kilometre (0.6 miles) of Falmouth's center. Are you hoping to book economical accommodations options? 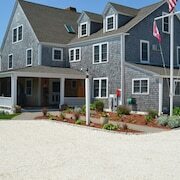 You might like to investigate the Admiralty Inn & Suites, The Coonamessett Inn and Red Horse Inn. 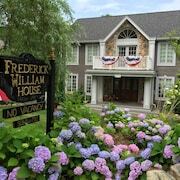 You could check out the Thorncroft Inn and the Mansion House Inn And Spa. The Thorncroft Inn is located 10 kilometres (6 miles) from the middle of Falmouth. The Mansion House Inn And Spa, is 11 kilometres (7 miles) away. The Sea Crest Beach Hotel as well as the Harbor View Hotel are two other recommended accommodation options worth checking out around Falmouth. Hyannis is 30 kilometres (19 miles) to the northeast of Falmouth and is home to the Kalmus Beach and John F. Kennedy Hyannis Museum. 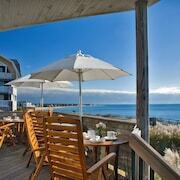 Hyannis accommodation options include the Green Harbor Resort and Cape Codder Resort and Spa. 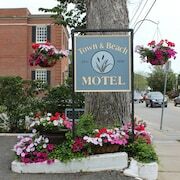 65 kilometres (40 miles) to the northeast of Falmouth, you may also choose to stay at Wellfleet, which is home to the The Mainstay Motor Inn and Wellfleet Motel and Lodge. The Cahoon Hollow Beach and Indian Neck Beach are a couple of the most popular sites to explore when visiting Wellfleet. Before you say goodbye to Cape Cod, make sure you experience local game. Visit Fenway Park to the northwest of Falmouth. Book a hotel close to the action at the Mandarin Oriental Boston or the Four Seasons Hotel Boston. Look up our Falmouth travel guide and learn about the nurmerous scenic and cultural attractions this area has in store. What are the most popular Falmouth hotels? Beautiful, Bright Home w/ Firepit, Deck & Backyard - Walk to Wood Neck Beach! Are there hotels in other cities near Falmouth? 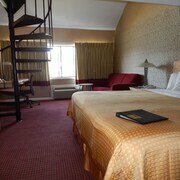 What other types of accommodations are available in Falmouth? Explore Falmouth with Expedia.ca’s Travel Guides to find the best flights, cars, holiday packages and more!